Matt and Jeff are joined by MTR from the Comics After Dark podcast for this in-depth look at the state of comic book movies! Look at the last ten years of Marvel movies and speculate as to what's next! Wonder if there's a way to fix the DC Universe of movies! Look at Fox as the outlier who makes it work without really making it work (like Marvel does)! Remember the days when Michael Keaton was Batman until Joel Schumacher ruined everything! It's the 2nd most wonderful time of the year as the old tv shows come back, new ones begin and a few really old ones rise from the dead! Which ones will thrive, which will just survive and which ones will be cancelled so fast their stars will be on other shows by mid-season??? Matt and Jeff are joined by Nerdy Pop Contributor, Kaela Barnes as they share their thoughts on what they're looking forward to this fall on television! It's the Nerdy Pop Fall TV Preview! Welcome to Nerdy Pop: The Podcast! 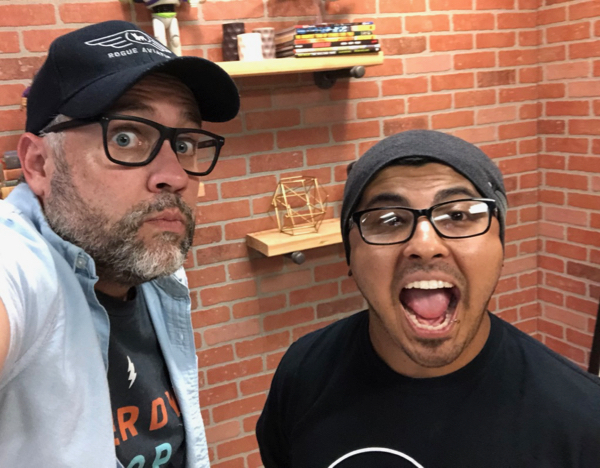 Host Matt Barnes and his new Co-Host, Jeff Bachman (Bros Before Rose: Men Who Watch The Bachelor) along with a team of contributing nerds bring you this look into all things pop-culture! In this episode, Matt and Jeff talk about their love of all things pop culture and why they're excited about the future of this podcast. Plus, the all nerdy things we're excited about coming up! Look forward to new episodes of Nerdy Pop: The Podcast beginning next week as we launch into this new and exciting endeavor!